A couple of months ago when work was extra-crazy and I was having a hard time keeping my head from exploding, I reached out to Lindsay and Rhya one afternoon and asked what tricks they both had as creative people to stay grounded. I am now the proud owner of a basic brown clipboard which I got at Dollarama, and it holds several pages, organized by category, of confidently Sharpie'd lists. It's true, it does help, enormously. My musical-kindred-spirit Martin Tielli once wrote, "It's quiet underwater." As we plunge into a New Year, full of hope and the promise of massive amounts of fun and beauty and creativity, I drew us a little reminder, in honour of epic to-do lists, swimming holes yet to be discovered, and remembering to pack your bag properly on your way to the pool. I was doing research for my lifeguard novel, trying to figure out what poster Bea has hanging above her desk (Picasso? Matisse? Klimt?) and stumbled on Matisse's The Swimming Pool— Matisse’s first and only self-contained, site-specific cut-out. One morning in the summer of 1952, Matisse told his studio assistant and secretary Lydia Delectorskaya that “he wanted to see divers,” so they set out to a favorite pool in Cannes. Suffering under the “blazing sun,” they returned home, where Matisse declared, “I will make myself my own pool.” He asked Delectorskaya to ring the walls of his dining room at the Hôtel Régina in Nice with a band of white paper, positioned just above the level of his head, breaking only at the windows and door at opposite ends of the room. The room itself was lined with tan burlap, a popular wall covering of the time. 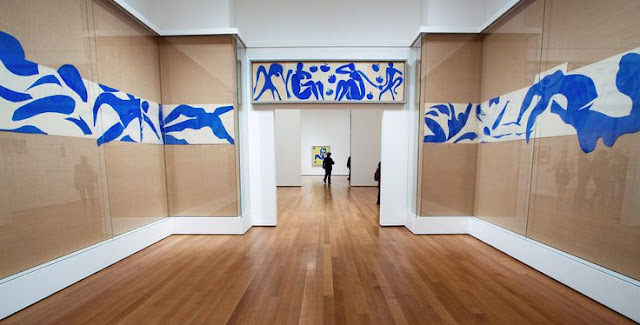 Matisse then cut his own divers, swimmers, and sea creatures out of paper painted in an ultramarine blue. The blue forms were pinned on the white paper, which helped define the aquatic ballet of bodies, splashing water, and light. It is delicate and immersive and incredible. My jaw is still on the ground and I wish there was a time machine to take me back to the exhibit (that ended in February 2015). Next time it's up, we swimmers must go! Christmas at my grandparents was the best. Not only because they spoiled us with a ridiculous number of gifts (Cabbage Patch Kids! Gund dogs named Muttsy!) and not just because my nana put out unlimited almond bark for me, or because there were sweet potatoes with broiled marshmallows on top or because there were trays of bacon wrapped water chestnuts. It was the best, not just because we were allowed to put on all of my grandmother's rings my grandfather made for her, and look at all of her lipsticks in their decorative cases in the bathroom, or because I'd get to blow out birthday candles with my mom and dad and cousin, and ride the elevator, and call up from the intercom, and listen to the police scanner, and stand on the balcony, but because we got to swim. Their apartment building had a pool in the basement, and the weekend before Christmas, we would pack our bathing suits and goggles along with a trunk full of gifts. 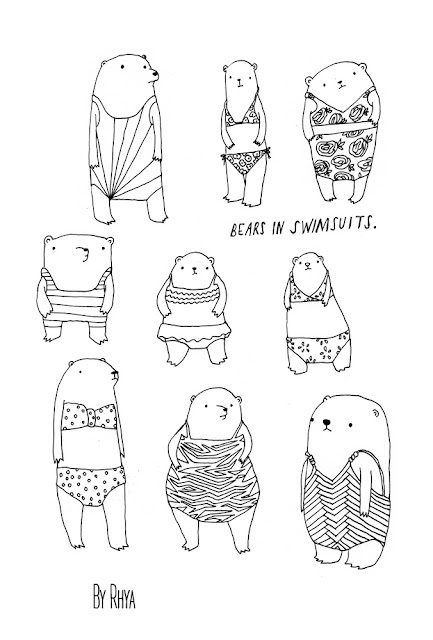 The only other time we swam all together was at the cottage, but by then the lake was frozen over, and swimming altogether was a distant memory, but every December, we would do a conga line in the shallow end, practice handstands and show off our somersaults. My grandparents didn't know how to swim, but they loved that we did and we would open presents smelling like chlorine. Our hair would be crispy and tangled, and everything about it was perfect. How does a swim lover get through a Canadian winter, when all their favourite outdoor swimming holes are frozen–my suggestion–draw your own and then colour them in. Colouring has been touted as a great way to relieve stress and anxiety and it's chill inducing effects have been compared to the results of meditation. 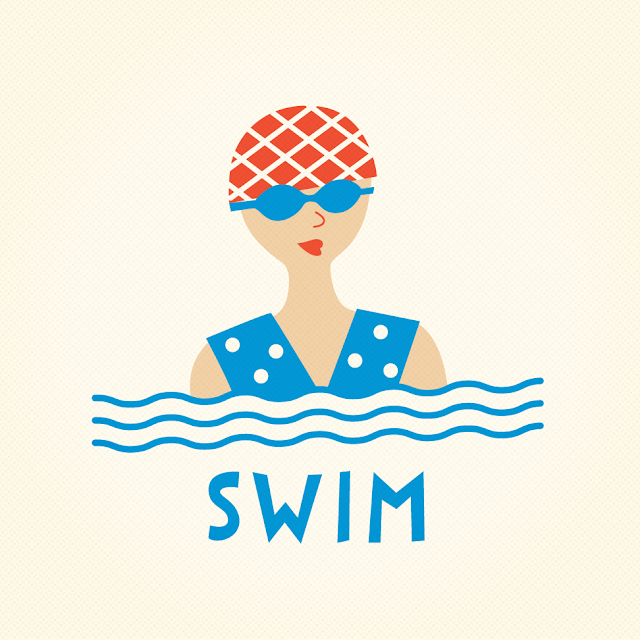 These benefits also sound like the outcome of another activity I know and love... swimming! Obviously, I needed to combine these two activities! So out came my sketch book and pens, and next up, three pages of water world fun... with hopefully more to come. It's very reassuring to know that I now have a little swim related activity to splash around in on our soon to come, cold and dark winter nights. 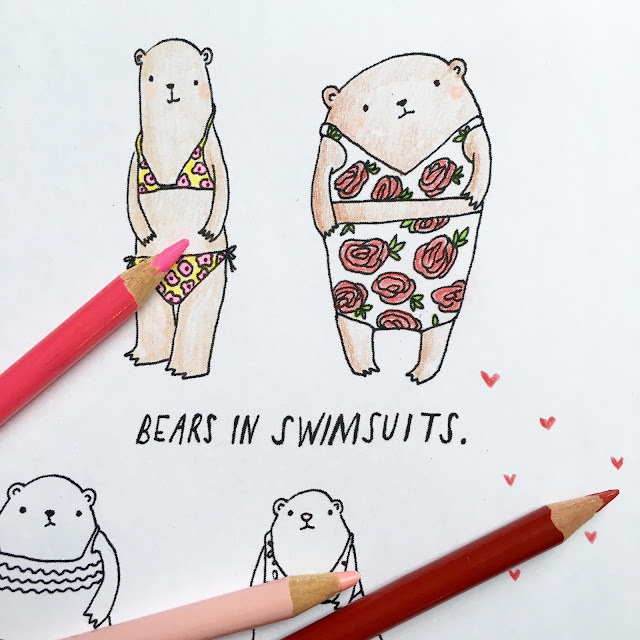 The ultimate goal here will be a Docktail Colouring Party, with my fellow Swimmers, where we will get together, sip some yummy drinks and colour in these water inspired pages! 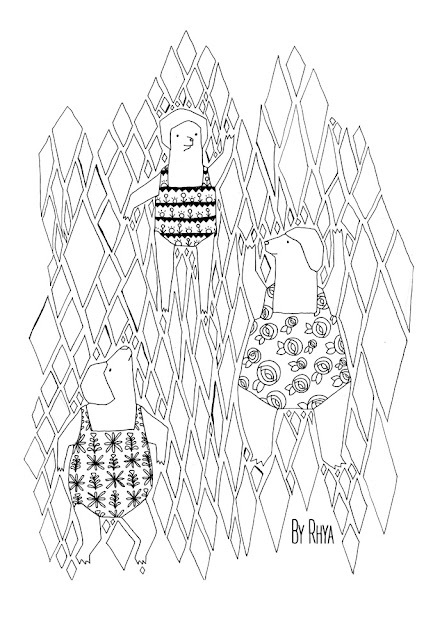 And just in case there are other swimmers out there looking for their own watery fun, I've attached a downloadable Pdf of all my colouring pages, so far. There are three in total. 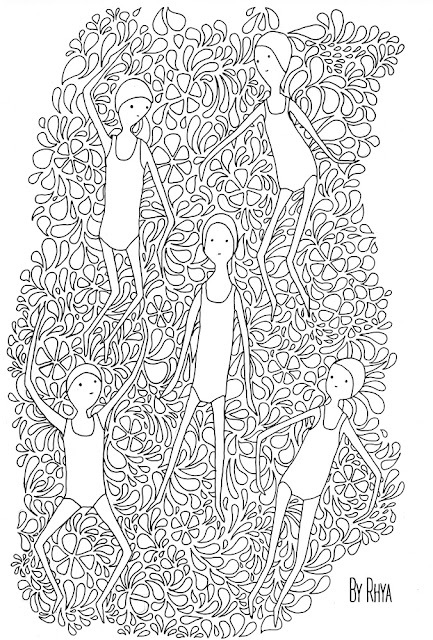 Dive in and download the colouring fun here!